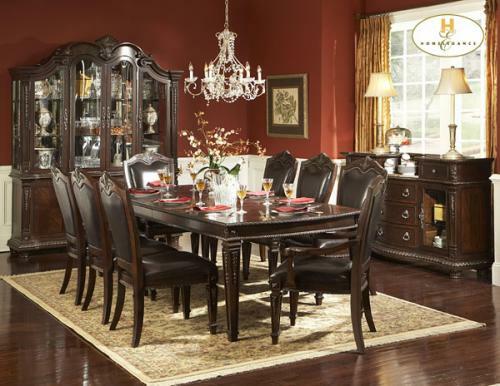 The wonderfully traditional 1394 dining room group from Home Elegance Furniture will fill your family's formal dining room area with grand style. The collection is adorned with detailed hard carving and appliques. 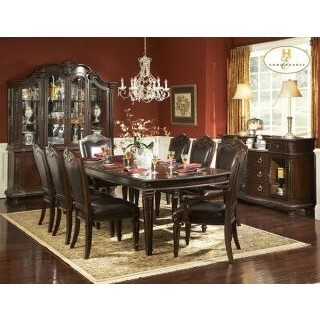 The china cabinet and matching buffet feature beveled glass, curio ends, a mirrored back, adjustable glass shelves, a lighted top. The rectangle table extends to accommodate six side chair when the leaf is added. The 1394 Home Elegance dining room group includes the china and buffet, rectangle leg table, side chairs, arm chairs, and marble top sideboard.